Let's face it: There are a lot of TV shows and movies out there. How are you going to figure out what's good and what's not-so-good? What if Netflix recommendations aren't working for you? What if you don't even have Netflix? We've scoured the web to bring you 7 useful apps and websites that can point you in the direction of something worth checking out. We've been a fan of Metacritic for some time now. It's comprehensive, it's easy to navigate, and it can help you sort the wheat from the chaff more easily than most sites. It's more for checking out what the critics and the population at large are into rather than getting personalized recommendations (though you can leave reviews of your own) and there are plenty of round-ups and lists to browse through, covering particular years, new releases and more. Jinni puts some serious science into the business of finding movies and TV shows that you're going to like. It can import ratings and likes from Facebook, the IMDB, Rotten Tomatoes and Flixter, and lets you tweak your tastes manually too. The engine running Jinni looks into the core features of content you already like rather than simplistic tags or links (such as the same actor or genre), and based on our testing it does a decent job of surfacing new stuff. Simple, straightforward and no nonsense, Foundd lets you quickly rate ten films, TV shows or games to get some personalized recommendations thrown your way (and pretty well selected they are too). You can bookmark or dismiss any of the recommendations with a single click. There's nothing particularly innovative or original about Foundd, but it covers all of the movie recommendation basics capably while stripping out the unnecessary extras. Letterboxd is first and foremost for tracking your own movie watching, but you can quickly get tips about new films by checking out some of the many lists on the site and following other users whose tastes you share. The interface is slick and polished, and keeping a log of movies you've seen becomes a joy rather than a chore. You'll find most of the user reviews on the site are thoughtful and detailed enough to help you discover a gem or avoid a turkey. 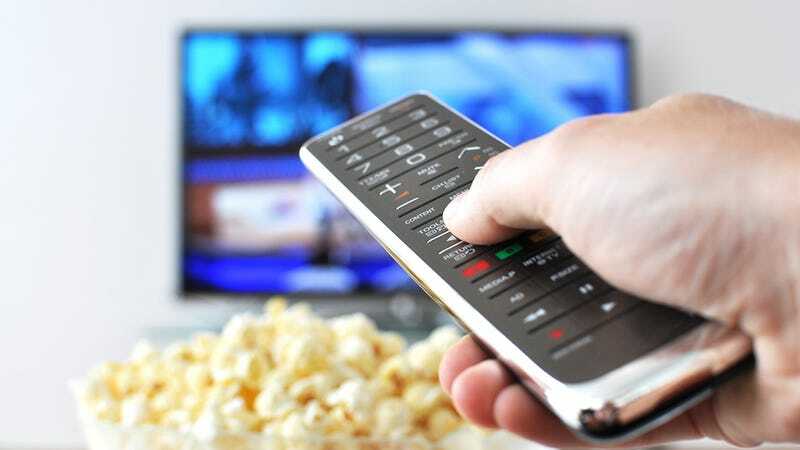 Type in a television show you like and find something else similar that you might like too—that's how straightforward it is to use Televisor. Each results page offers plenty of detail, enabling you to make a more informed choice about your next series, and you can choose between new releases and classic shows. There are also links to Netflix, Hulu and Amazon built into the Televisor site. For the same format built for movie recommendations, try Movievisor. SynopsiTV's recommendation engine is all about your own personal choices and tastes rather than the opinions of other people. Movies and TV shows are covered and you can log what you've watched as well as get tips on what else might interest you. There are also several other ways to find new content: You can search by genre, actor, year and various other criteria, or follow other users on the site and see how compatible your tastes are with them. The site that we all relied on back when the Internet was mostly text set in Times New Roman is still going strong. The beauty of the Internet Movie Database is that there are so many avenues to pursue when it comes to recommendations—check out the top 250 films of all time, see films related to your favorites ("People who liked this also liked..."), look up one of the many polls run on the site or have a browse through lists created by individual users.